Growth of extra bones along with the natural bones of human body is known as bone spurs. Bone spurs found inside the nasal cavity is known as nasal bone spurs. Nasal bone spurs develop as a result of the trauma caused to the nose as a result of a blow. Continuous stress results in weakening of that area and causes formation of small nasal fractures which slowly turns to be spurs. Bone spurs are very common among people who have a low level of calcium content. Infections, sinus conditions and cold which cause irritation to the nose can also cause formation of spurs in the nose. Headache and pain are common symptoms of nasal spurs. Women affected by nasal spurs feel sever pain or headache during the period of pregnancy and menstruation. 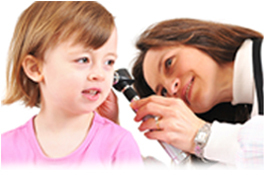 Nasal spurs are diagnosed by an ear nose throat physician based on the symptoms and medical history. During examination a decongestant spray will be used by the physician to get a clear view of the nasal passage ways. A CT scan will also be conducted to find out other causes, if any, for the symptoms shown by the patient. This will also help to spot the exact locations where the nasal spurs are located, as they may be invisible in a routine examination. Septoplasty is a surgical method followed by the surgeons to remove bone spurs in the nasal cavity. In this surgery the bone spurs are removed and any other deformations or complications that have occurred to the septum are also corrected. This surgery is intended to remove pressure spots inside the nasal cavity that cause irritation and pain. This is a surgery done under general anesthesia. If you prefer, your doctor can consider the option of conducting the surgery under local anesthesia also. This procedure is generally performed as an outpatient service which means that the patient can go home on the same day itself. This surgery has been found to be very successful in eliminating the headaches and migraines caused by bone spurs.